Firstly, I know I said that the Armchair Tours of Paris would start next but Mother’s Day (the Aussie version) falls on Sunday 12th, which is tomorrow, so you’ll have to wait a little longer. C’est la vie. And I took what seemed like a squillion photos then too (which, in the pre-digital age, cost me an absolute fortune to have developed). Mum took more. It is well-known in our family that Mum is a little…well snap-happy. And this has been borne out over the years as her wanderlust has expanded to take in places like the USA and Canada, and adventures like a snowstorm in Petra, a cruise on the Nile and a whole lot in between. I know this for a fact. I’ve been back to Melbourne. I’ve seen the evidence photo albums. Anyway, I had been wondering whether I had kept any photos of her from our inaugural parlay with Paris…and you’re in luck (Mum maybe not so much…) So here’s how much things have really changed. …while this time my opening night perspective was a little more grounded from the Place de la Concorde. 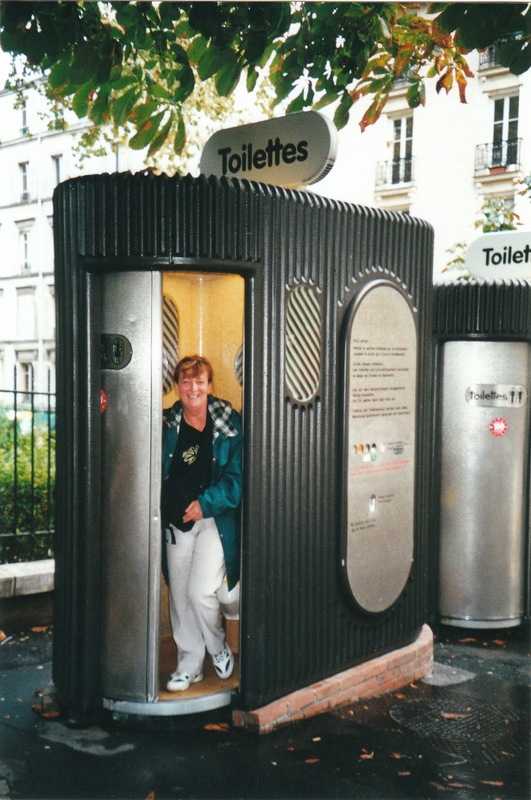 Being new to the whole travelling lark, we were fascinated by the public loos in the streets of Paris. There was some consternation about what would happen if you got stuck in there. Mum was relieved in more ways than one when the door opened… …while this time around I was just relieved my loo with a view came with no windows directly opposite. 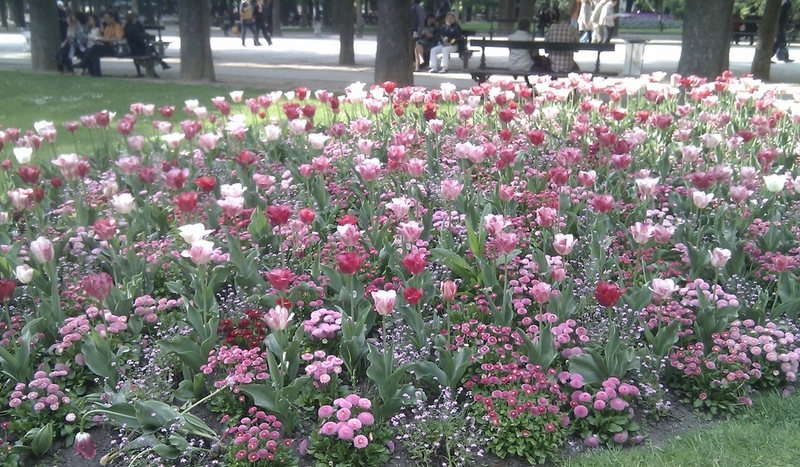 This was a rare moment of still and quiet contemplation for Mum near the Jardin des Tuileries… …whilst last Sunday I found mine – with a good book in hand – on the way from Raspail to the Jardin du Luxembourg. …whilst not too far away, on a grey afternoon more than 12 years later, I found heavenly, chocolate-y solace – and a coffee – at Angelina. …and send her lots of love and squillions of virtual hugs.